Keto Brownies are perfectly fudgy, gooey and thick with a chewy center and crispy edges. Sugar free and easy to make with low carb-friendly pantry ingredients. Thick and fudgy brownies happen to be my husband’s absolute favorite chocolate dessert. He is a self-proclaimed chocoholic and grew up on box mix brownies. These Low Carb Keto Brownies are ridiculously fudgy, gooey with a chewy center and crispy edges – all the things he looks for in a homemade brownie from scratch minus the sugar. 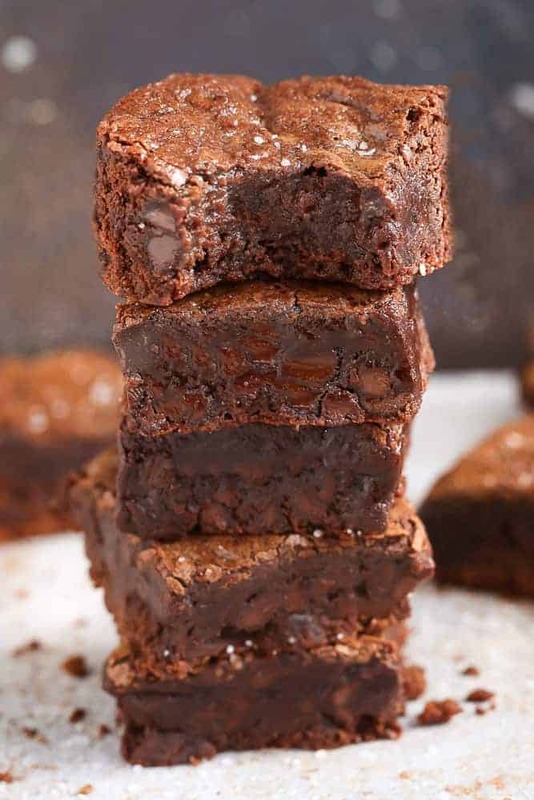 The recipe for these keto brownies calls for powdered monk fruit sweetener but if you can’t find it, you can also place the sweetener into a high speed blender or food processor and blend until you get a powdered consistency. If you are not following a ketogenic diet, simply swap the monk fruit sweetener with coconut sugar (for paleo) or granulated sugar instead. 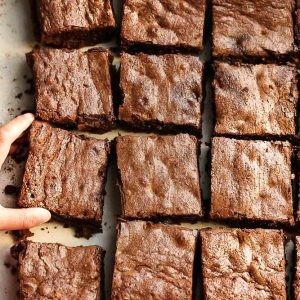 To make these low carb brownies, you’re going to line an 8×8 square pan with some parchment paper for easier removal. 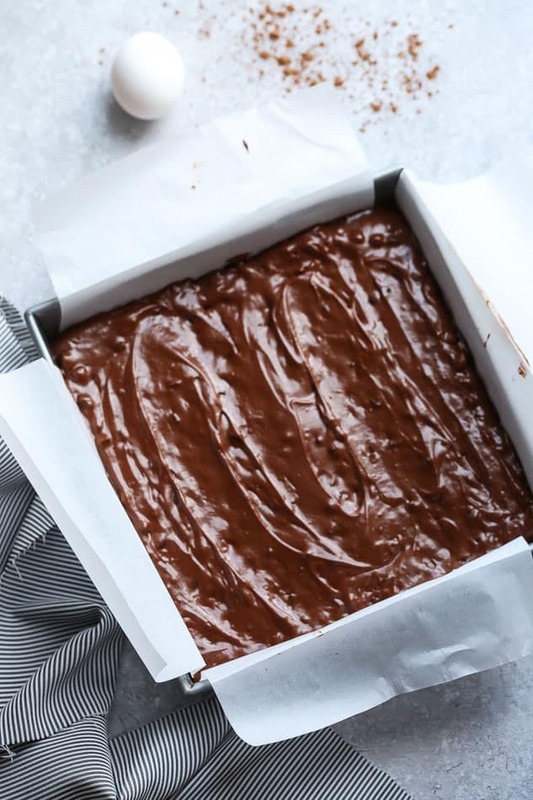 Melt the chocolate, butter, coconut oil and almond butter over a double-boiler on the stove or in the microwave until chocolate is just melted and smooth. Whisk in the powdered monk fruit sweetener , vanilla and salt. Add the eggs one by one and whisk until incorporated. Stir in cocoa powder followed by the almond flour until just combined (do not overmix). Fold in remaining chopped unsweetened chocolate or dark chocolate chips. The batter will be thick. Spread batter into prepared pan and smooth with an offset spatula. Bake in preheated oven for 23-27 minutes – under-bake for fudgier brownies. Allow to completely cool before slicing into even squares. Top with sea salt, if desired. 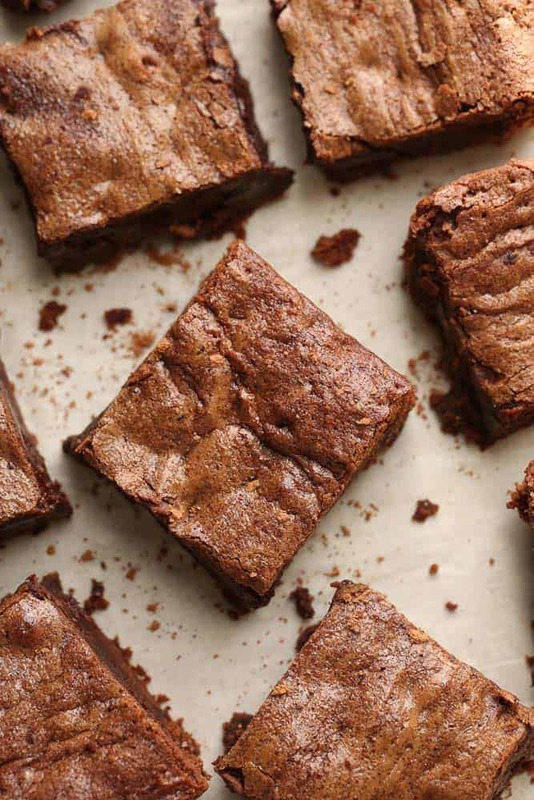 These Keto Brownies are perfectly fudgy, gooey and thick with a chewy center and crispy edges. Easy to make with low carb pantry ingredients. Preheat oven to 325 F. Line an 8x8 square pan with parchment paper leaving a slight overhang (for easier removal). Set aside. 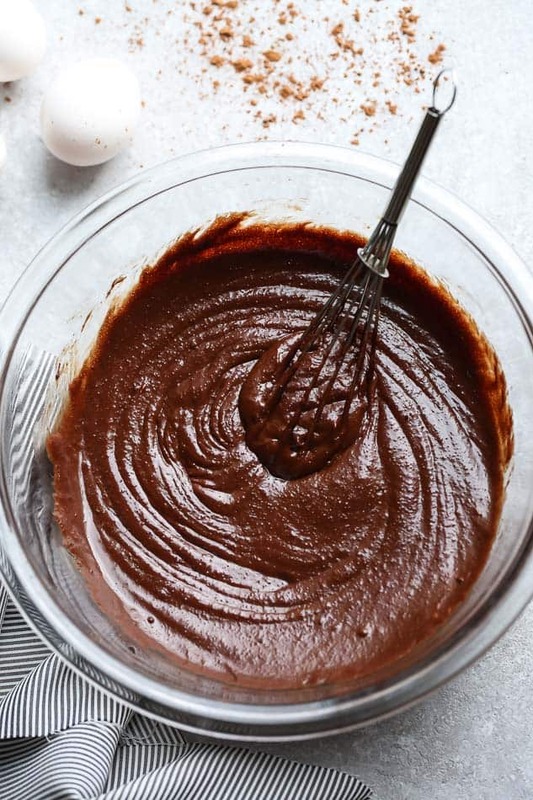 In a large heat-safe bowl, heat 1/4 cup of the chopped chocolate, almond butter, coconut oil and butter over a double-boiler on the stove (or in the microwave in 20-second increments), until chocolate is just melted and smooth (stir well in between - do not overheat). Whisk in sweetener, vanilla and salt. Add the eggs one by one and whisk until incorporated. Stir in cocoa powder followed by the almond flour until just combined (do not overmix). Fold in remaining chopped chocolate. The batter will be thick. Allow to completely cool before slicing into even squares. Top with pinch of sea salt, if desired. *If you can't find powdered monk fruit or powdered SWERVE, place the sweetener into a high speed blender or food processor and blend until you get a powdered consistency. 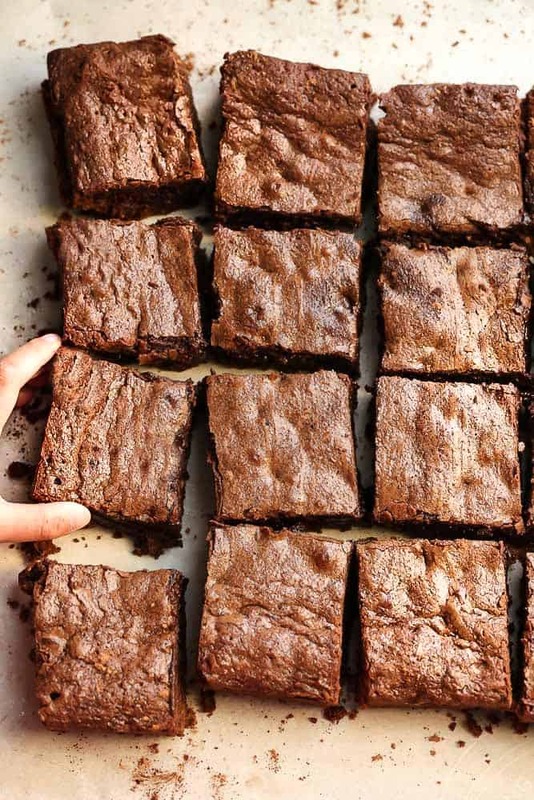 These brownies look so delicious and the texture is perfect!